June 03, 2016 09:58 ET | Source: Global Boatworks Holdings Inc.
POMPANO BEACH, FL--(Marketwired - Jun 3, 2016) - Global Boatworks Holdings Inc. (OTC PINK: GBBT) is pleased to announce that it has commenced construction of its first South Florida Luxury Floating Home, the Luxuria 1. Construction is taking place at the Lauderdale Marine Center, the largest yacht repair facility in the U.S. The Luxuria is being constructed on a 24x46x5 foot barge made of 3/8 of an inch-thick steel. 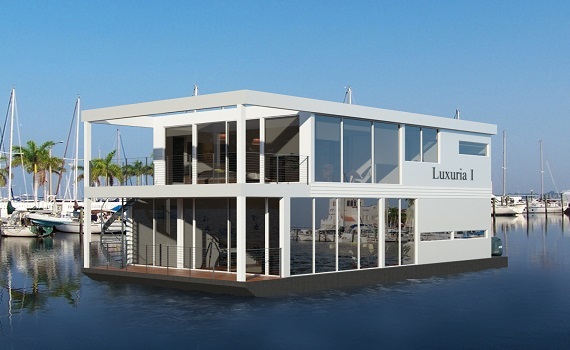 Global Boatworks plans to market the Luxuria 1 to the popular and growing trend of people choosing to have their primary residence "on the water." The water residence lifestyle has been made popular in areas like Seattle, Vancouver, Amsterdam and various lakes around the world. Global Boatworks now brings this amazing way of living to South Florida. GBBT's founder and Chief Executive Officer Robert Rowe stated, "People living in Floating Homes has finally made its way to South Florida. Florida's abundance of both sunshine and water makes it the perfect fit. 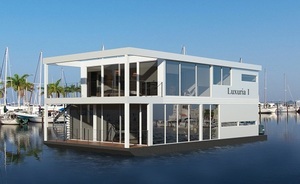 We are very excited to see the Luxuria being built amongst the mega yachts at the Lauderdale Marine Center." The Luxuria 1 will have approximately 1800 sq. feet of living area featuring two bedrooms, two bathrooms, a modern full kitchen, fireplace, and all the luxury appointments of an executive home. Completion is expected to be sometime in August 2016.